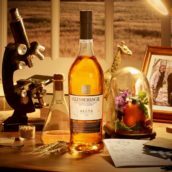 Launched in 2010, Glenmorangie’s Private Edition series has given a home to the experiments Dr Bill Lumsden, Glenmorangie’s director of distilling and whisky creation, had been carrying out on a smaller scale for many years. Starting with what Dr Bill described as a ‘safe bet’, Sonnalta was the first incarnation, finished in Pedro Ximénez casks. 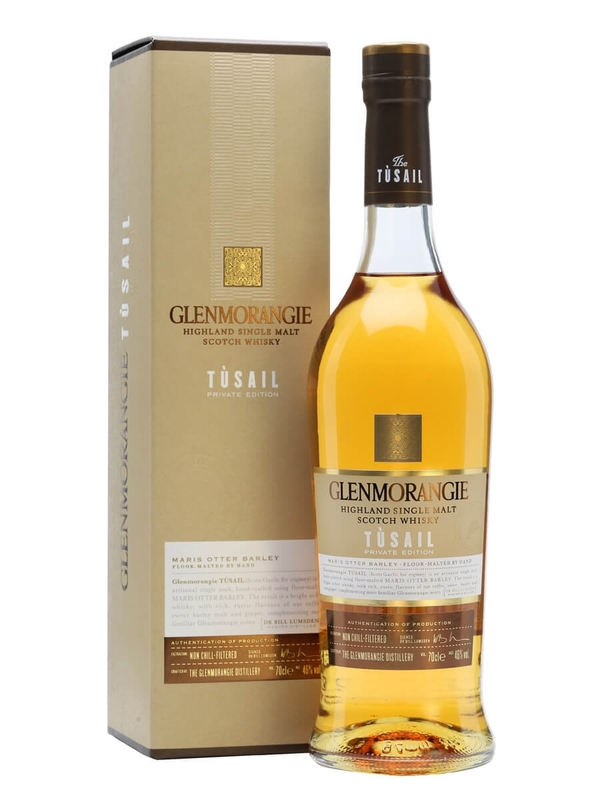 These were followed by increasingly experimental cask types: Finealta (lightly peated whisky aged in a combination of sherry and virgin-oak casks), Artein (Italian red wine), Ealanta (virgin oak) and Companta (French red wine), while last year’s Tùsail veering away from the usual theme, with the focus on the variety of barley. 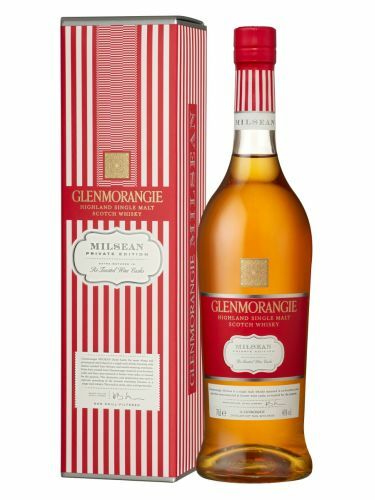 For 2016, things have returned to 2014’s theme, with the use of red-wine casks, this time from Portugal – introducing Glenmorangie Milsean. Dr Bill’s inspiration behind the seventh Private Edition was to create a whisky reminiscent of the flavours you’d find in a sweet shop. 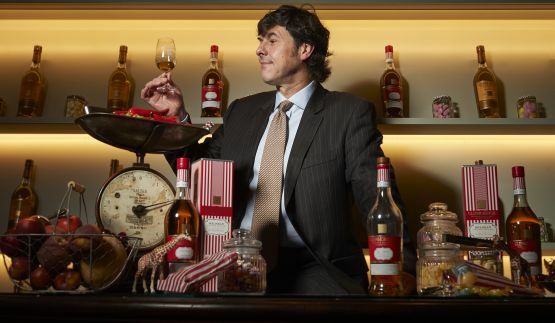 The packaging is styled on a striped sweet bag, the name Milsean is Gaelic for ‘sweet things’, and at the launch we were treated to a goody bag in the truest sense – pick ‘n’ mix, to help us pick out flavours in the whisky. The casks used formerly held Portuguese red wine, and were toasted in Scotland with a live flame to bring out the sweeter notes in the wood. A total of 269 barriques were filled with bourbon-cask-aged Glenmorangie which, as per the other previous cask-finished releases, is similar in style to the 10 Year Old Original recipe. 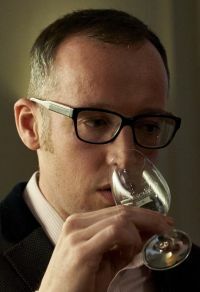 This year’s Private Edition is notable for being the first major Glenmorangie project for Brendan McCarron, who has assumed part of Dr Bill’s role as head of maturing whisky stocks, and is set to eventually succeed him. One of his first jobs was to assess samples from the 269 barriques. 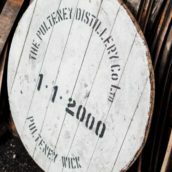 The intention was to finish the whisky in the casks for five years, but after two and a half, it became apparent that it was at its peak and in danger of going too far. The final blend of 154 barriques was therefore removed from wood as soon as was practical and married in a vat for the final six months before it was bottled in October last year. Thus Milsean became the 2016 release, rather than the 2018 as originally envisaged. Nose: Overtly fruity and sweet in character with orange, dolly mixtures and lemon sherbet. 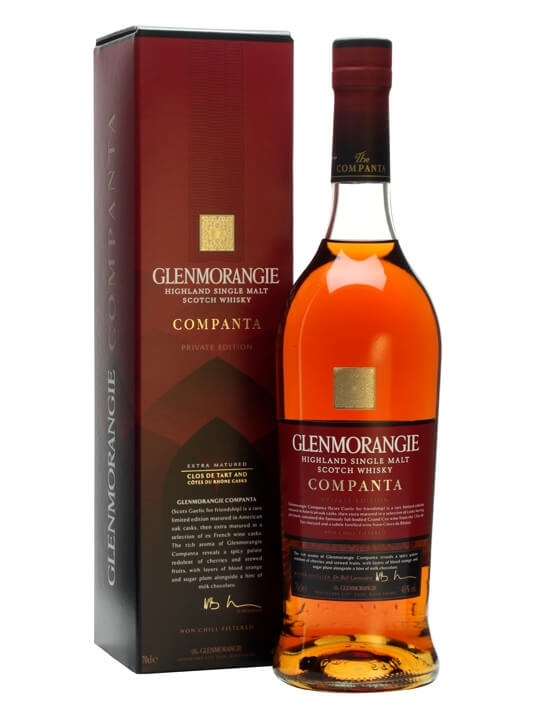 Palate: Warm and spicy at first sip, then the sweet fruit comes through, with cherry, mango, plum, orange, grapefruit, lemon sherbet, coconut and ginger all complementing the oily texture. Finish: Medium in length, with the fruitiness only superseded by ginger spice at the very finale. Comment: Another excellent Private Edition release, the wine casks have added an exceptional amount of fruitiness. It is very sweet, but this is tempered by the spicy ginger also present. 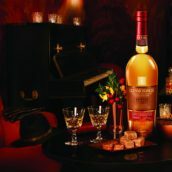 Glenmorangie Milsean is now available from The Whisky Exchange, priced at £75.95. 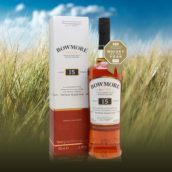 If you like sweeter styles of whisky, this is definitely one for you.